I usually go to bed with my remote control. It’s become my pacifier and my lifeline to the broader world. Being a bit of an insomniac, I often awake at 2 a.m. with my pacifier clutched tightly in my fist. I instantly click it to reruns of Cheers or Frazier, and they put me right back to sleep. But apparently, there is an evil little gremlin living in my house. He hides the remote control in the strangest places and I spend untold hours hunting it down. I crawl under the beds, remove the sofa cushions, even check the refrigerator. 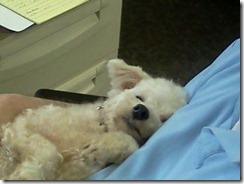 Occasionally I find Lucky Dawg curled up on it. I think she loves it too, but being without thumbs, she can’t change the channel. I’m considering chaining it to my coffee table like the clerks do with their pens at the supermarket. The remote control is one of those household gadgets you truly don’t appreciate until it goes missing. A recent study found that 27 percent of Americans would prefer to lose their toothbrushes for a month than lose access to the remote control! The under forty crowd can’t imagine how rough we had it back in the day when we had to get off the couch to change the channel. Usually you had to stand there a few minutes turning the dial to find something to watch. Yes, TVs had a round dial with numbers which didn’t go past about 12. That should give you an idea how many choices we had. 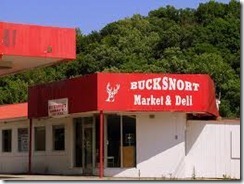 The idea of remote control was as remote as Bucksnort, Tennessee (once the moonshine capital of the world). When you got up to change the channel, you also had to adjust the rabbit ears to try to get rid of the snowy static. Yes, we had it hard. Our parents had to walk three miles to school in the rain and snow, but we had to endure our formative years without the remote control. I’ll never forget that red letter day somewhere during the Nixon administration when my husband brought home a remote control. It had to be attached to the TV by a wire and it could perform only two tasks – cut the set on and cut the set off. But we marveled at how far technology had come. Little did we realize that great minds were already conspiring to bring us the infrared eye allowing us to change the channel and control the volume from a prone position on the sofa. Gawlee! 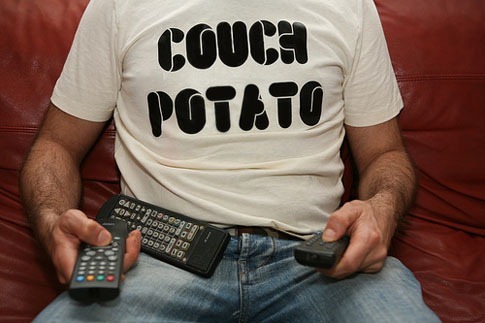 Suddenly, a new race was born – the couch potato and his feminine counterpart I prefer to call the couch TOMATO. Eventually, of course, the wireless remote became ubiquitous. It ushered us into a world where it was possible to watch hours and hours of television without ever leaving the couch — to sit zombie-like, spastically switching channels, searching for that holy grail of modern existence – a good television show. Today we have remotes to start the car, turn on the gas fireplace, and open the garage. On the TV show Modern Miracles, I learned the latest technology will enable us to attach a small remote to our wrists which can control other appliances in the home. The appliances can even talk to each other. The thermostat can turn on the air conditioner. An incoming phone call can tape a TV show. The alarm clock by your bed can turn on the coffee machine. The cell phone in your pocket can turn on the lights in your house as you pull into the driveway. Futurists have been making bold predictions about the coming age of the “smart home” for several years. I don’t know about you, but when my home gets smarter than me, I’m moving to Bucksnort and maybe try my hand at moonshine running. This entry was posted in General Stuff and tagged Losing the remote, Slave to the remote, Too many household remotes by Emily Jones. Bookmark the permalink. 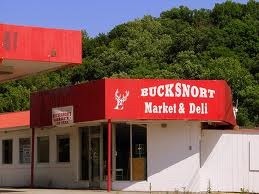 You drive to slow to run moonshine, besides you have many other talents that would be appreciated in Bucksnort. And here I’ve always thought polyester pants were the ruination of the world-guess it might be remote controls instead!